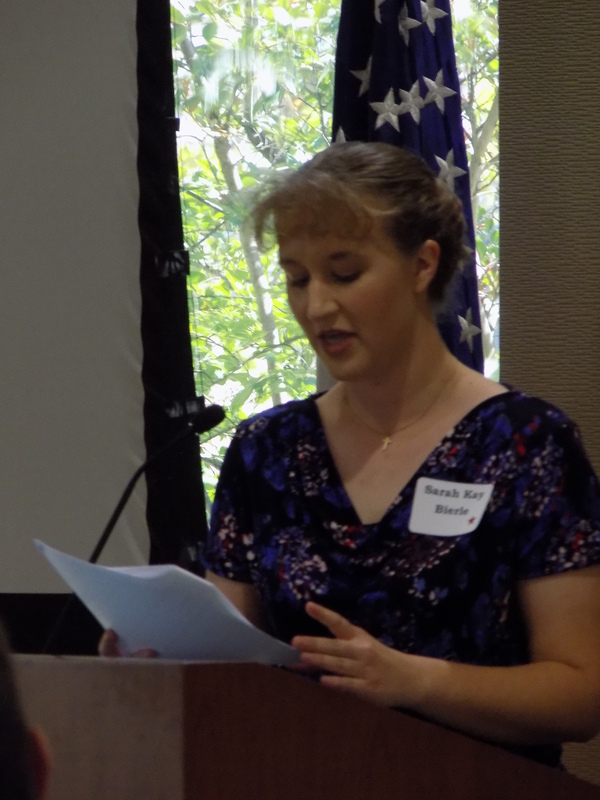 Earlier this year, I arrived at a genealogy society to give a presentation on Civil War Medicine. I set up my laptop and PowerPoint, projecting my presentation cover image on the large screens. While waiting for the meeting to come to order, I mingled with the club members and guests, listening to their latest ancestral discoveries and chatting about local California history. Shaking his head incredulously, he headed back to his chair, leaving me nervous and wondering if the whole audience felt that way. Whether he knew it or not, that gentleman had just thrown down the challenge gauntlet, and I metaphorically picked it up. I determined that – one way or another – I was going to make sure that fellow and the entire audience heard accurate information about the Civil War. My ultimate goal for the evening: have one audience member come and say “I learned something. I didn’t know that…” at the end of the presentation. It was lecture time. Taking a deep breath and settling into the presentation, I began with my own journey into the facts of the medical systems during the Civil War. Then we did some myth-busting. (Ironically, one of the myths I address in this presentation is the idea that doctors were just saw-bone butchers. We talked about that perception and then explored if was reality.) I was carefully to speak to the entire room, not focus my attention directly on the opinionated gentleman. The presentation went on, introducing a doctor’s medical training in the 19th Century, the role of women in medicine during the conflict, the Letterman System, and some primary source examples from Gettysburg battle and aftermath. I wrapped up with questions and answers, thanked the audience, and headed for the book signing table. Ah – the power of accurate historical information and reliable primary source quotes! Leaving the conference room a half-hour later and making my lonely way to my vehicle, I felt like I was walking on clouds. The audience seemed to find the presentation interesting, but I was elated that at least one person had had a change of heart toward some Civil War heroes who are routinely criticized in Civil War fast-fact studies. Hours and hours of research. Research that had reduced me to a crying mess at times. Research that had left me sickened at the scenes described. Research that introduced me to courageous men and women who decided to fight to save lives. In that evening, in that moment when the man came back to say he’d changed his mind, those hours seemed repaid over and above my expectations. Perhaps it’s just a rose-colored view of a little incident. The pragmatics will quickly point out that kind words probably didn’t fill the monetary value of those hours of research. But sometimes we can be too practical. I decided to enjoy the moment and be thankful for the opportunity to make a difference in someone’s perception and interpretation of medical history from the Civil War era. This entry was posted in Medical, Speakers Bureau and tagged changing opinion, Civil War medicine, education, myths, opinions about Civil War medicine, presentations, Primary Sources, Research, sawbones, surgeon. Bookmark the permalink. The problem wasn’t the docs themselves, but the state of medical science at the time—as I am sure you know all too well. My great-grandfather finished his Civil War service as a hospital orderly, but one of the docs encouraged him to take up medicine as a profession, which he did, becoming a much respected and beloved small-town doc in Southern Illinois. Yes, exactly. What an interesting account about your great grandfather. Thanks for sharing! An excellent point. It has always struck me how temporally close were the discoveries regarding sepsis, vector transmission of diseases, etc. Had the war been fought only a few decades later the perception of the medical profession of the times would be entirely different. As it was, advances like the use of chloroform and central organization of evacuating and treating wounded were significant improvements on what was the case as recently as the War with Mexico. 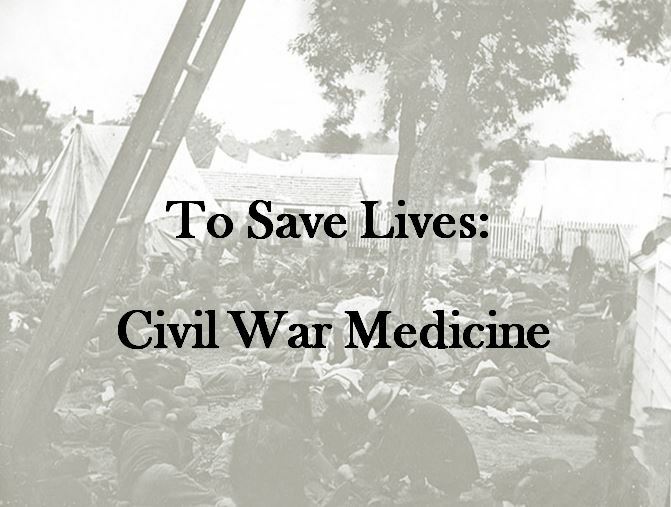 Medicine is one of the more fascinating aspects of Civil War history, yet many are more interested in yet another rehash of a specific battle than hearing about what kept those men on the field in the first place. I am glad you are spreading the word, but I know how sometimes the audience can be less than enthusiastic. One of my best ideas to involve the audience when I talk about Doctor Jonathan Letterman is to begin with the current situation in the Middle East and work back to the Civil War. The links are so clear. Good job, Miss Sarah! It’s a kind of “maturity” thing, which is a badly loaded phrase, but fits the situation: When we are young (in terms of our historical interest, regardless of our numerical age), we are mostly interested in the battles and campaigns, “brigades and bullets and battles,” so to speak. As we get deeper in to our interests, we get interested in other things. Me? I’ve become interested in the secession crisis and antebellum politics, and the history of the POW cartel. That kind of stuff is, to me, more interesting than yet another iteration of [name the battle/campaign of your choice], although a really good battle or campaign study can still grab my interests. Interesting article with a happy ending. I identify with your reflections on research. When I was beginning my now ongoing deeper examination of the Civil War two years ago I had the opportunity to audit a rigorous undergraduate course at a local college that, in addition to the wartime battles (both military and political), emphasized the cultural and political dynamics and events of the antebellum buildup to the war, social history and the significant non-combat events and heroes of the war– including Dr. Jonathan Letterman and his development of more effective battlefield medical practices, the improvements in troop health enabled by the work of the U.S. Sanitary Commission, the importance of the Victorian era “Good Death,” etc. I found and still find that side of the C.W. story every bit as engaging as what one of the professors called the “take the hill” stories of the war. Excellent article. I have portrayed a Union surgeon for over 20 years. I to try to emphasize the accuracy of my presentations as you do. Still learning! Thank you. I to am a living history “student” I have been studying dentistry of that time and do a Confederate dentist impression. Nothing pays off better than seeing your research put to practice in front of modern dentist that bring their family back to hear your presentation! We are teachers to a modern society that needs to learn about our history. Great job!